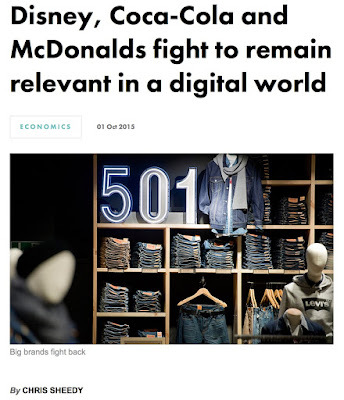 "Disney, Coca-Cola and McDonalds fight to remain relevant in a digital world"
In a world increasingly dominated by technology and rapid change, long-established consumer businesses have to fight to stay current. No consumer business is invulnerable, however powerful it may look. When a business grows to dominate its industry, it soon faces a new and powerful set of challenges – technological surprises, upstart newcomers, a jaded public, incursions from firms and sectors not previously considered competitors.